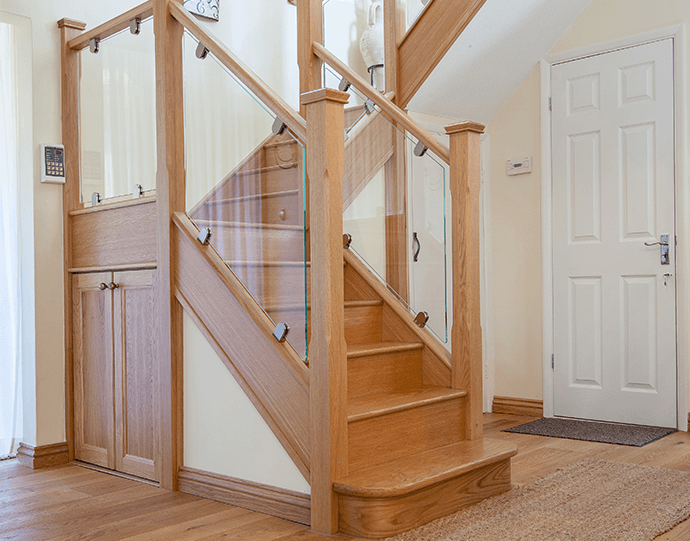 If you’re considering a staircase renovation, then it’s helpful to understand the logistics of the process beforehand. How long does the renovation take? Will you be confined to living on just one floor of your house during the process? Fortunately for you, we have the answers to all of these questions. If you’re unhappy with how your staircase looks, you’ve come to the right people. Tell us what you’d love your staircase to become and we’ll do our best to make it a reality. Maybe you want more light or to freshen it up but also match the period features of your home. We can discuss the materials and finishes available, before passing the brief on to our team of designers. One of our design team will contact you within 24 hours to arrange a meeting. The meeting won’t last more than 2 hours and you can look at some samples without any concern about being sold to. You’ll receive a quote for the staircase renovation or refurbishment, which will be valid for 30 days. We give our clients the best price from the very beginning, so there’s no movement on it. Once you’re happy with this and the deposit is paid, the work can begin. After you’ve confirmed that you’d like to go ahead, one week later, the contract and samples will be finalised and a surveyor booked to make a detailed checklist of everything involved. You’ll receive a call from our joiners, as well as a confirmation letter with the date of your installation. Once the parts have been booked, our in-house French polishers will hand finish your bespoke staircase renovation with 4 coats of lacquer, 2 more than most companies. It then leaves the workshop with one final quality check. You’ll be called before the installation date to prep the area. It’s a common misconception that a staircase renovation will mean that your upper floor will be inaccessible. This isn’t the case and during the installation, you’ll be able to use the stairs while they are being renovated. A gazebo is set up outside your home to minimise disruption and mess. We put dust sheets and floor protectors wherever we are working before taking the old stairs out. The newel posts will be installed first before our professional joiners ‘work their magic’. 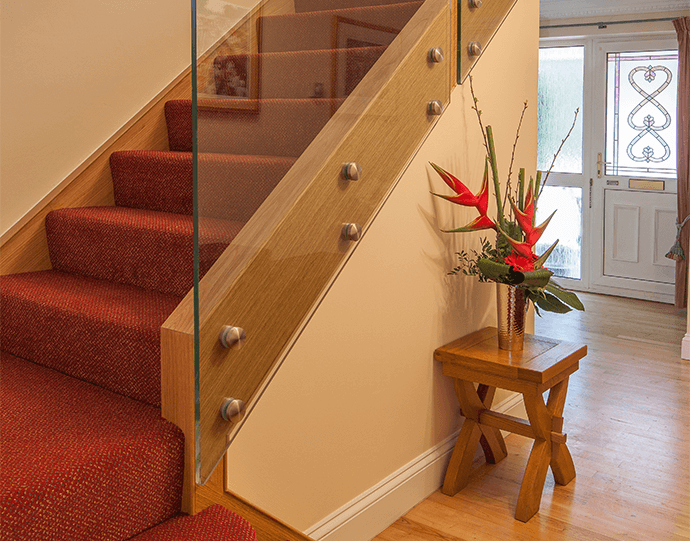 Most staircase renovations will be completed within 24 hours, in fact, if you left your home in the morning, you could come home to a completely refurbished staircase. Don’t worry, your home is in safe hands. Our installation team has been known to let dogs out and even bring washing in! You will be able to give final sign off on the renovation before we leave. We’ll tidy up after ourselves and hang your photos back up, leaving you to enjoy your freshly renovated staircase. 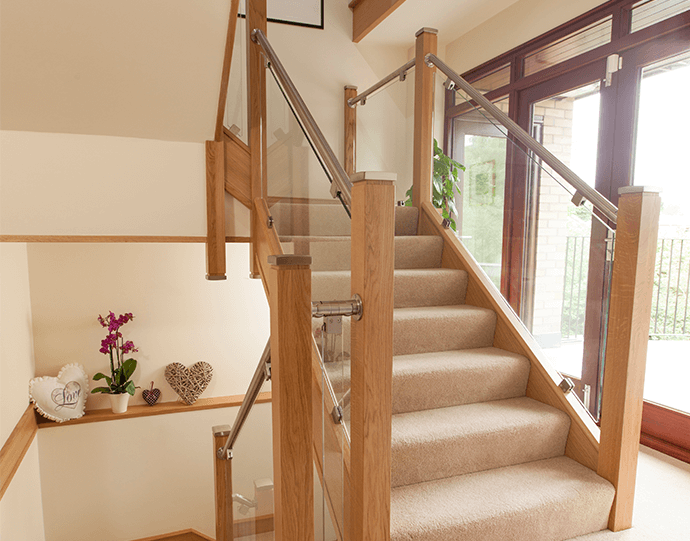 If you’re ready to take the first step towards achieving your dream staircase, then give us a call.